Included in this lot are three Official Major League Allan H. Selig baseballs used during New York Mets games in the 2006 MLB season. 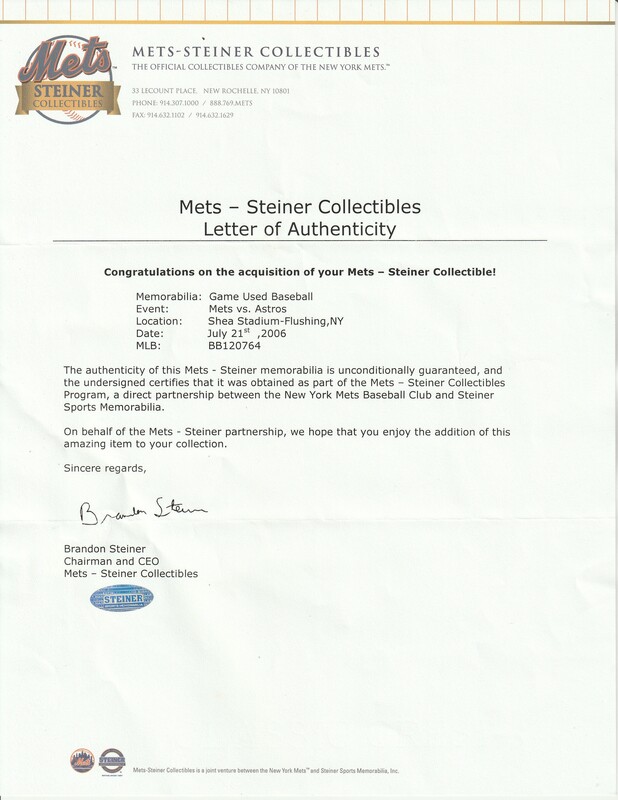 The first ball was used on May 3rd, 2006 during a Mets game against the Pittsburgh Pirates at Shea Stadium. Carlos Delgado hit a walk off home run in the bottom of the 12th inning to five the Mets a 4-3 win and push their record to 18-9. The second baseball in this lot was used during the Mets game on July 8th at Shea Stadium against the Florida Marlins. The Marlins won this game 3-2 thanks to a trio of solo home runs from Miguel Cabrera, Hanley Ramirez, and Josh Willingham. 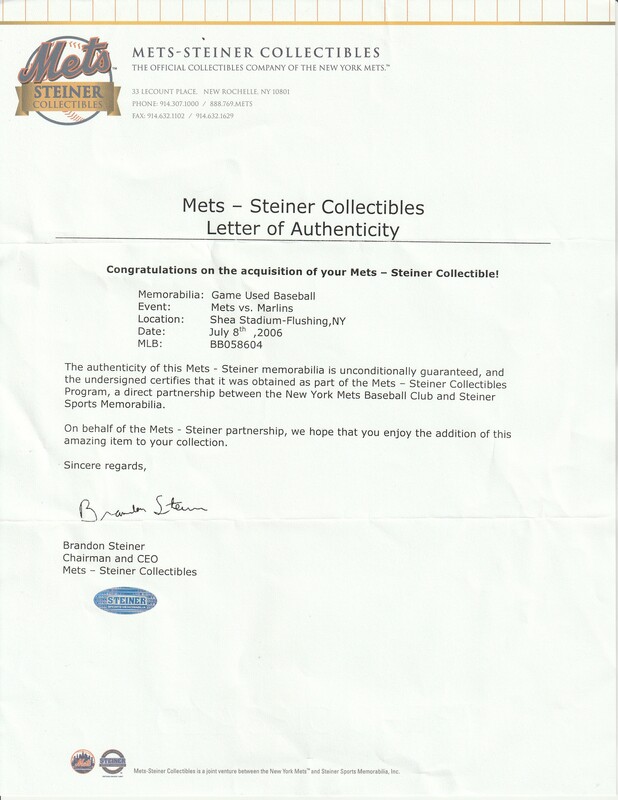 The third and final baseball was used during the Mets game against the Houston Astros on July 21st at Shea. The Mets won this game 7-0 behind John Maine’s four-hit complete game shutout. 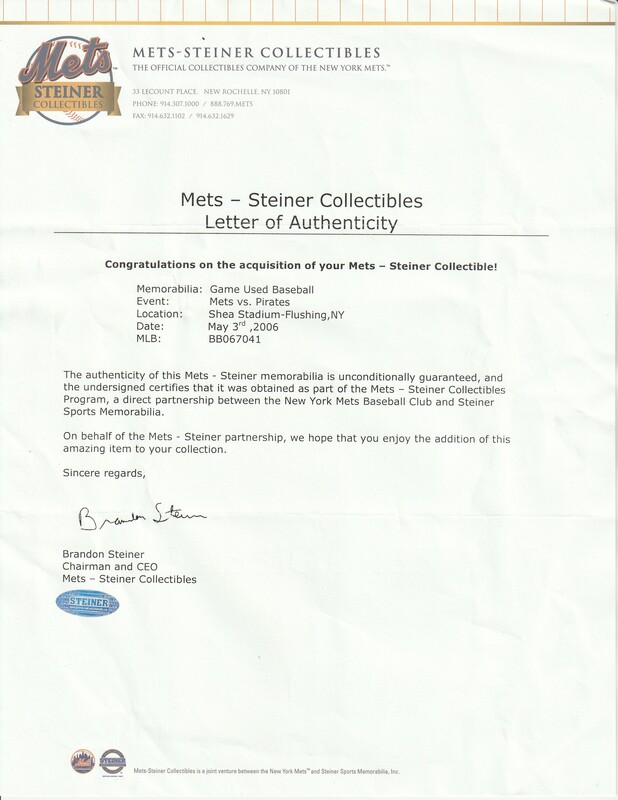 Each baseball in this lot comes with a MLB Authenticated hologram (BB 067041, BB 058604, BB 120764) and a LOA from Mets-Steiner Collectibles.